Have you joined my Online Party yet? It is next Friday and Saturday and it is a TON of fun!! And there is no cost! Just click here to join the party now. 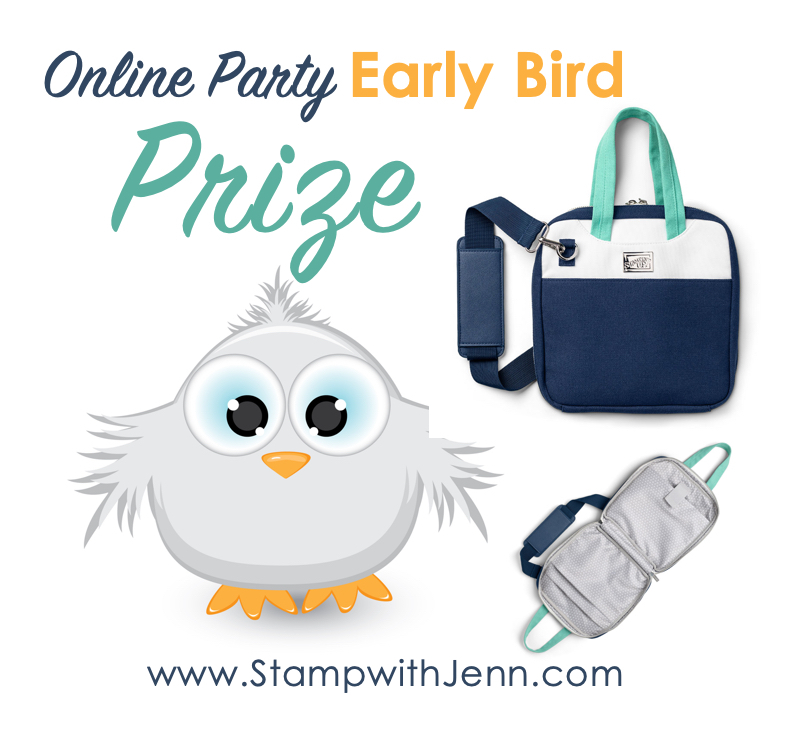 I’ll be showcasing products from the new Stampin’ Up! Occasions Catalogue, playing some games and there will be tons of prizes!! One of the prizes is a prize that I’ll draw for any Early Bird’s into the party. That means if you have asked to join the party before the party starts on January 25th you will be entered in my draw to win this adorable little tote bag. I’ll be drawing for a brand new Stamparatus Tote Bag. It is called the Craft and Carry Stamparatus Bag! And it is specially designed just for the Stamparatus®. This carrying bag is a stamper’s dream. It’s sized perfectly to fit the Stamparatus® tool. It has a value of over $48! Join the party now to get in on the draw!